Well it certainly looks like we are in for the Superman film we’ve all been waiting for. The Superman from the comic books has yet to be seen on screen (I love the Reeve films, but come on, Superman is a badass now a days in comics), but here we have it; clearly a much more edgy and action-oriented Superman. Little-known actor Henry Cavill is taking the reins (you may remember him from mini series The Tudors). He is being joined by an all star cast that includes Kevin Costner, Russell Crowe, Michael Shannon and Amy Adams. The new costume in the rebooted series of DC comics "Superman", out this September. 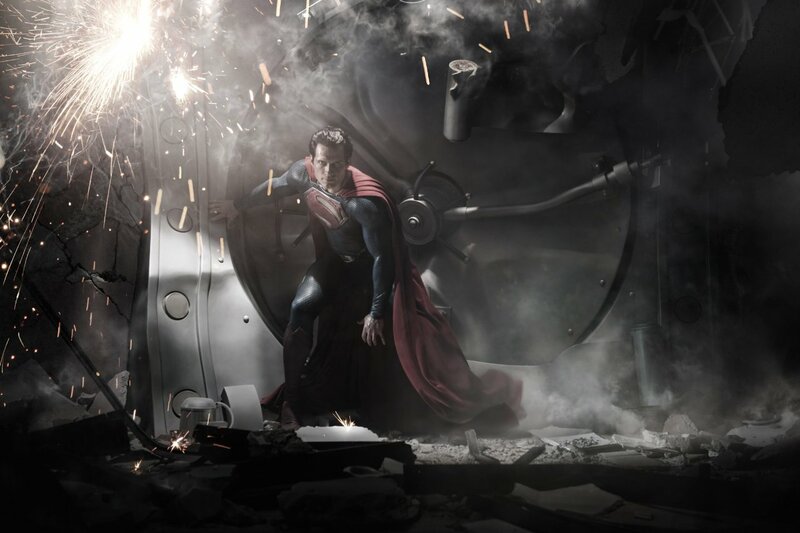 Superman: Man of Steel will hit cinemas some time in Summer 2013. It stars Henry Cavill as Kal-El/Clark Kent/Superman, Kevin Costner as Jonathan Kent, Diane Lane as Martha Kent, Michael Shannon as General Zod, Amy Adams as Lois Lane, Laurence Fishbourne as Perry White, and Russell Crowe as Jor-El. It is written by David Goyer, directed by Zack Snyder, and produced by Christopher Nolan and Warner Bros. Yes, I’m just as excited as you are. I hope they really allow Superman to show audiences what he can really do. Indeed, we have yet to see the *real* Superman in live action films. The Bruce Timm-produced animations portray him perfectly, but the Reeve movies (as brilliant as they are) don’t really show the Superman for the powerhouse that he is. Apart from the Richard Donner cut of Superman II of course, when Supes delivers that killer punch.